Before you can run a PowerShell script, you will need to check the PowerShell Execution Policy setting and possibly change it. Here’s how. 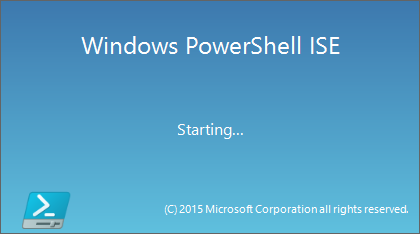 Windows PowerShell ISE (Integrated Scripting Environment) is a bundled script editor for PowerShell. Here is why you should use it. PowerShell is a command line tool at its core. It can be used to its fullest extent from an interactive shell prompt. But beyond ad-hoc work, cmdlet exploration and command one-liners, you should be using a script editor for building more complex PowerShell scripts. Luckily, beginning with PowerShell v2 the Windows PowerShell ISE has been included as a companion PowerShell script development environment. The rest of this post is specifically referencing Windows PowerShell ISE v5 (Windows 10), but a lot of these features are included in earlier versions too. Welcome to the inaugural post for Think PowerShell! In determining where to start, I thought it best to do an extremely high-level overview of PowerShell. PowerShell is a task automation and configuration management scripting framework built on the .NET Framework. Scripts are written using cmdlets (pronounced command-lets), which are special classes built on .NET for performing specific operations.